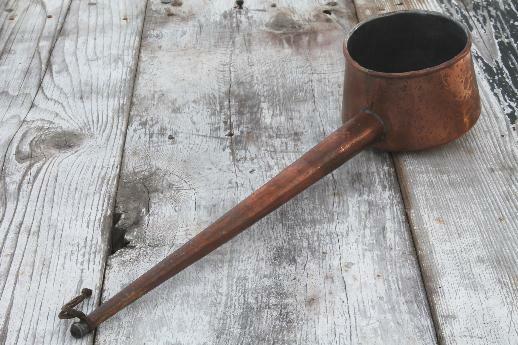 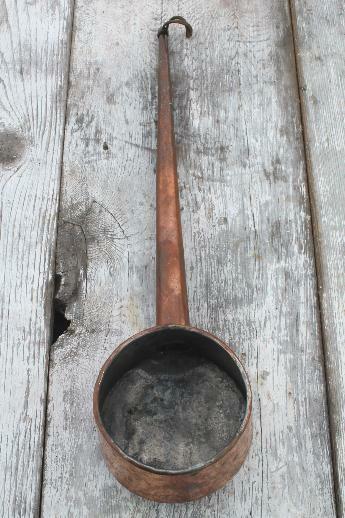 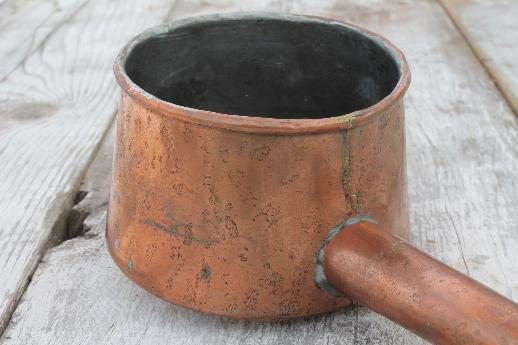 Old tinned copper still condenser, to funnel moonshine out of a copper boiler kettle. 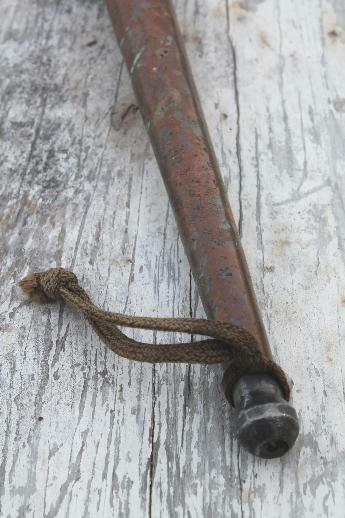 This came out of a farm estate in the Illinois / Wisconsin state line area, and we'd expect it has more than a few good stories to tell! 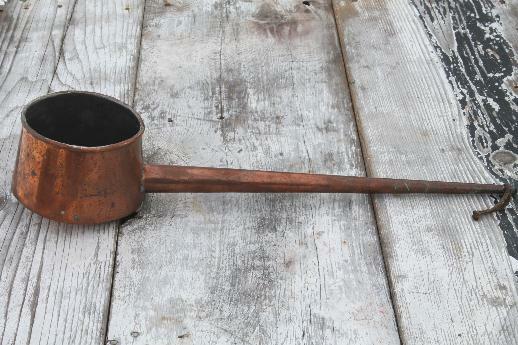 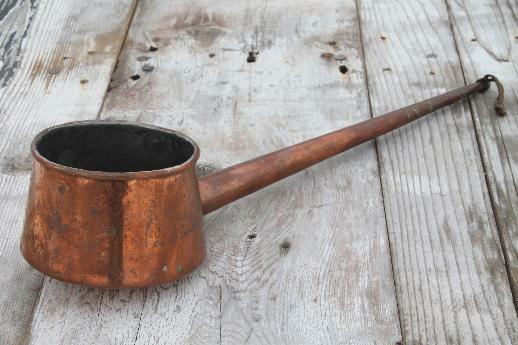 The copper kettle is long gone, used for other farm and kitchen purposes. 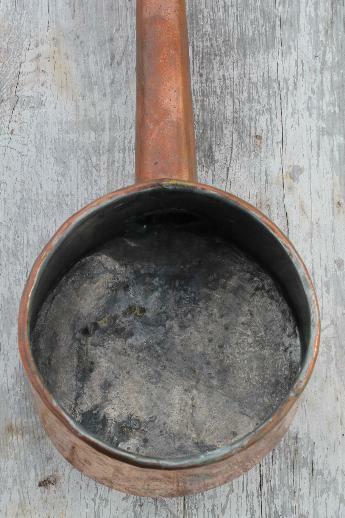 But this still top is still in very good - usable - condition. 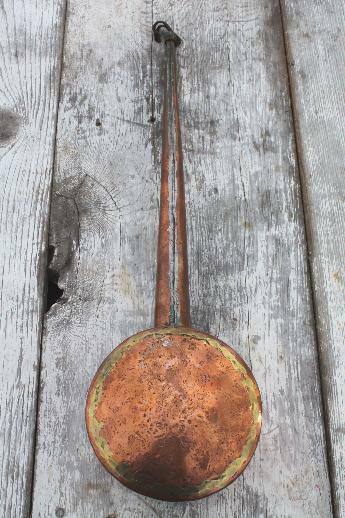 It's 4 1/2" in diameter across the bowl, and 18 1/2" long end to end.